Using emerging technology, natural history collections, field research, and genetics to describe marine mammal diversity for conservation management decisions. I also strive to inspire others to fall in love with Earth's wildlife and wild places through teaching and public education. Currently, I am a Visiting Assistant Professor at Swarthmore College. Come here to see news about Matt's expeditions, research, and teaching. This paper is the compliment to my 2016 paper using nuclear DNA SNPs to infer population structure of spinner and spotted dolphins in the eastern tropical Pacific Ocean (ETP). We sequenced DNA from the entire length of the mitochondria genome to complete our understanding of the subspecific structure in these ETP dolphins. Sadly, these dolphins are still trying to claw their way back from massive reductions in abundance due to bycatch in the tuna fishery (i.e., they’re the reason we have “dolphin-safe” tuna). It’s really important to know how the dolphin populations are naturally structured genetically in order to protect them in the most effective and efficient way possible. 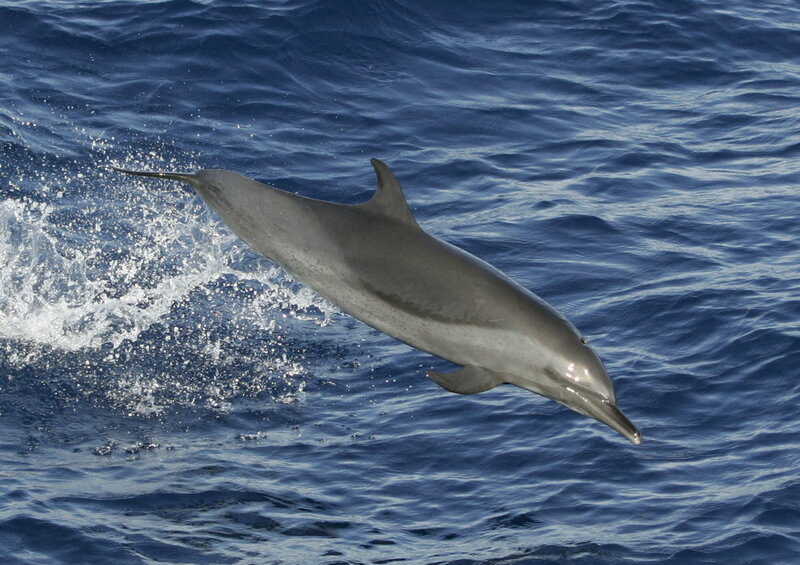 PANTROPICAL SPOTTED DOLPHIN (PHOTO BY R.L.PITMAN @NOAA FISHERIES). September 2017: Earlier this month, I was awarded the Secretary's Distinguished Research Fellowship to continue my investigations of the balaenopterid family tree. I'm excited for the opportunity to uncover more secrets of whale evolution with this prestigious opportunity. We published a special issue of Marine Mammal Science this month providing quantitative standards and guidelines for delimiting subspecies of cetaceans. 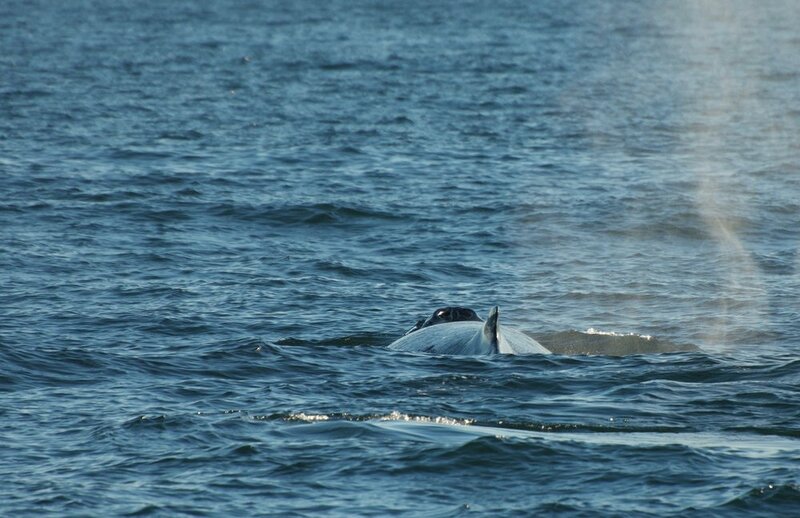 FUNDING AWARDED from U.S. Marine Mammal Commission for our proposal investigating the molecular systematics of Gulf of Mexico Bryde's whales. My Invited Participant Badge from the IWC in Bled, Slovenia. "One of the hallmarks of the Smithsonian Institution’s James Smithson Postdoctoral Fellowship is the opportunity to gain an understanding of the interplay between scholarship and public policy. In May 2017, Dr. Matthew S. Leslie – the Secretary G. Wayne Clough Fellow (awarded through the James Smithson Fellowship Program) at the Smithsonian’s National Museum of Natural History (NMNH) & National Zoological Park (NZP) – was invited to do just that on an international scale." Just back from Chilóe!! - here are some excellent photos of our work; More updates to come!! Published in Frontiers of Marine Science: Leslie & Morin - Using Genome-Wide SNPS to Detect Structure in ETP Dolphins!! 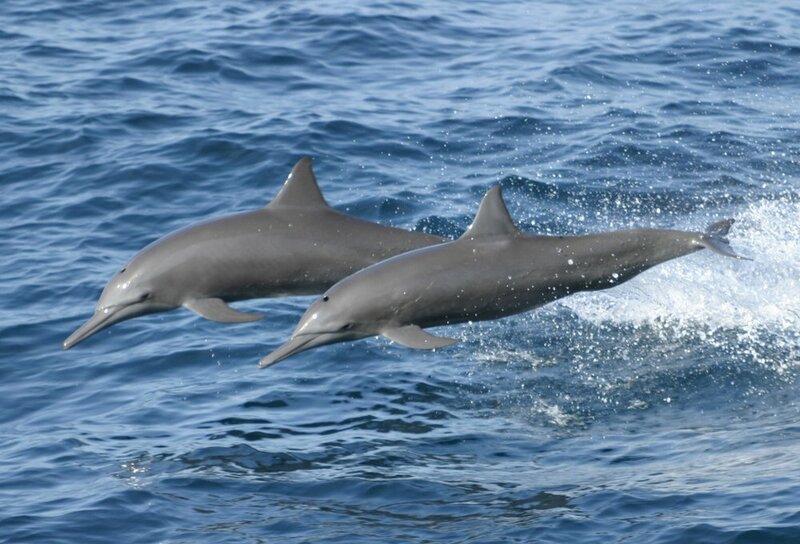 Millions of dolphins were killed in the eastern Pacific tuna fishery. This is why we have "dolphin-safe" tuna now. 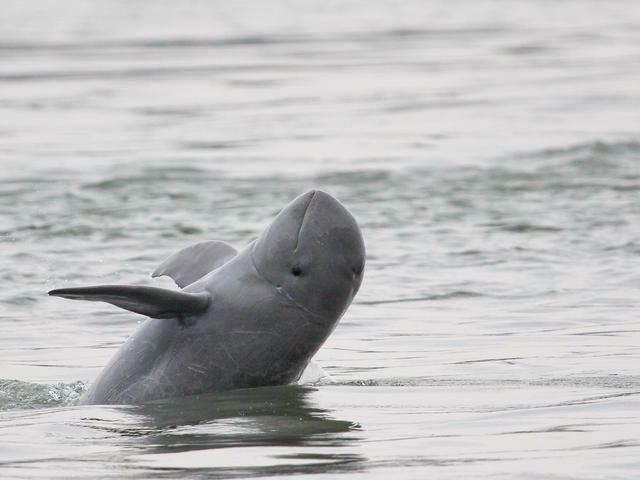 Thankfully, now only a relatively small number of dolphins are killed. But despite this, the dolphin numbers remain low - they haven't shown signs of recovery. In this study, I used large scale DNA data to solve a sticky question of how many breeding groups (i.e., populations) of dolphins were/are affected by this fishery. This is important because even the lower kill rate could impact recovery if it was concentrated on a small local population. For one of the species I studied, my data showed four populations: three that were known and one that was suspected. This means we were managing three of the four populations correctly. The one we weren't getting right is a small local population that needs special protection. Knowing how many populations live in this area had been a tough problem to answer. Its been fun to apply new techniques to old specimens to answer it. 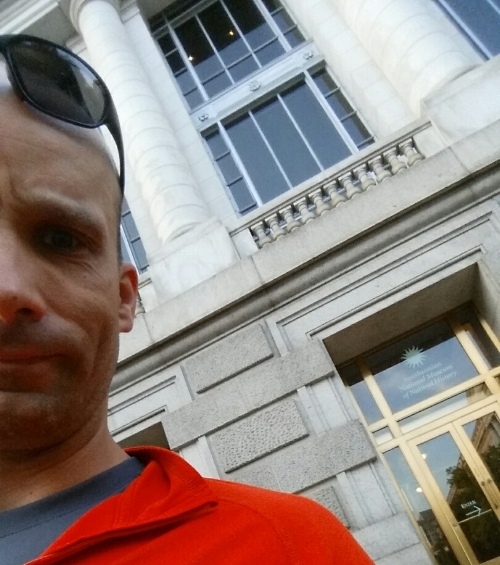 Thanks to all who helped along the way, esp Phil Morin, Victoria Pease, and the folks at NOAA SWFSC. Thanks to Uko Gorter for permission to use his illustrations in the figures. 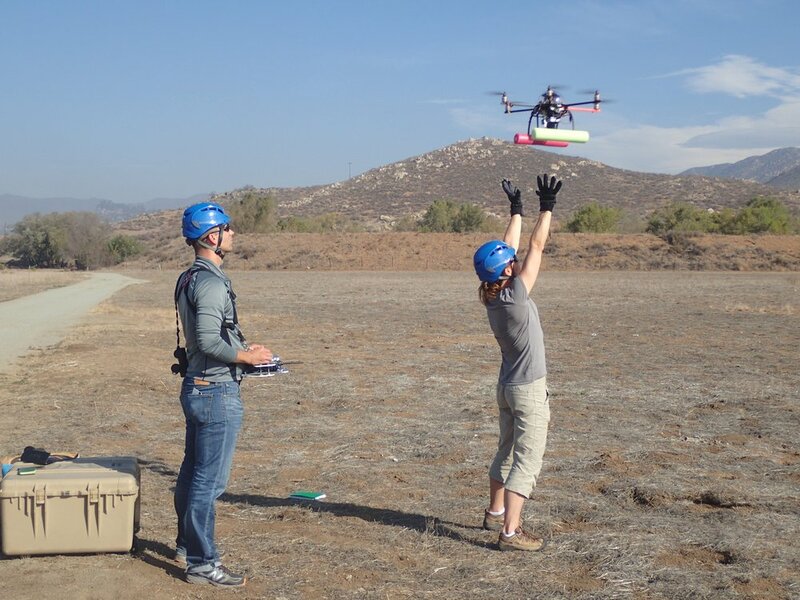 Nov 14-18 2016 - Jamul, CA - Along with a team of scientists from Woods Hole Oceanographic Institution, I attended advanced UAS training at NOAA Southwest Fisheries Science Center. Drs. John Durban and Holly Fearnbach led the VERY hands-on course. We spent three straight days flying NOAA's APH-22, a custom whale-studying hexacopter. It was a fast-paced and exciting training. 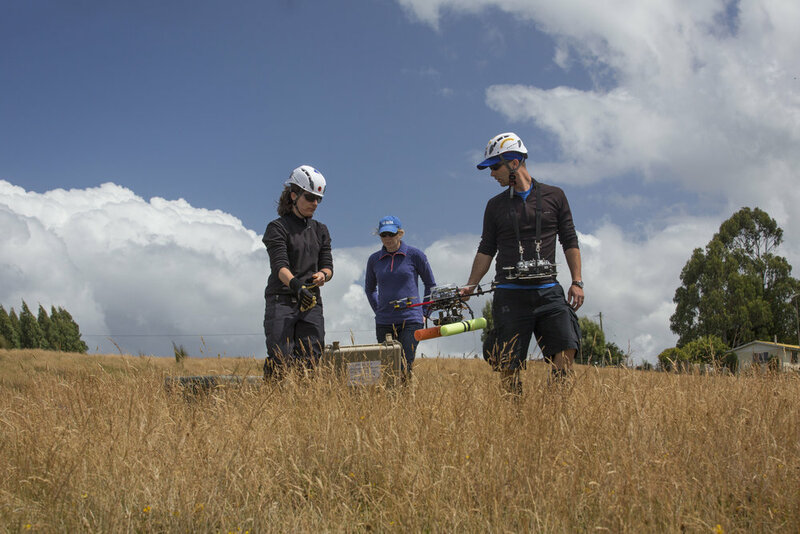 Unmanned aerial systems (UAS) technology is revolutionizing our ability to study whales. I will be taking the unmanned aerial system photoed above to Chile in February to study blue whales. Specifically, I'll be using high-resolution photos to measure Chilean blues in order to compare them to the two existing subspecies. Whaling records suggest that the Chilean animals are intermediate in length between the "true" blues and "pygmy" blues. Armed with this high-tech tool, I'll collect data to investigate if Chilean blues are part of an existing subspecies or a new subspecies. IN ADDITION, WE'RE COLLECTING DATA ON THE HEALTH OF THESE BLUE WHALES, INCLUDING MORPHOLOGICAL MEASUREMENTS AND BREATH SAMPLES FOR MICROBIOME STUDIES. 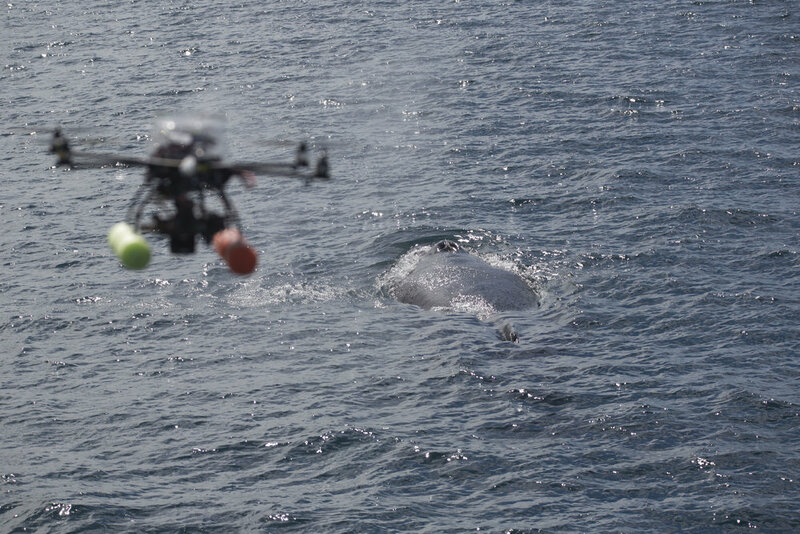 HOW DO YOU PRACTICE TRACKING WHALES WITH A DRONE? WHY WITH A BEACH-BALL OF COURSE!! HERE WE'RE PILOTING THE APH-22 HEXACOPTER IN POSITION OVER THE BALL IN ORDER TO SIMULATE PHOTOGRAMMETRY AND BREATH SAMPLING. THE BALL GENTLY BLEW AROUND OUR TRAINING COURSE GIVING A MOVING TARGET. Smithsonian's 2016 Smithson postdocs attend Student Conference on Conservation Science - October 20th-22nd 2016 - American Museum of Natural History. THis meeting is organized by the AMNH Center for biodiversity conservation to provide "opportunities for emerging scientists to professionally network, gain experience, and present and get feedback on their work. Interactions with peers as well as leaders in science, policy and management will encourage collaborations, inspire further research, and create lasting professional connections." From left to right: Karin Burghardt, Matthew Leslie, Jeremy Feinburg, and Dara Satterfield. My first visit to the collection since starting at NMNH - helping Dr. Chris Marshall pull specimens for a project on southern ocean pinnipeds. this is just a small part of the expansive and invaluable pinniped collection there. I love this stuff. Photo by C. Marshall. September 7th 2016 was a good day. I couldn't be more excited to work for such an amazing institution! 1. Apprill A, Miller C, U’Ren JM, LESLIE MS, Weber L, Baird RW, Robbins J, Landry S, Niemeyer M, Rose K, Bogoomonli A, Waring G. Host phylogeny shapes marine mammal skin microbiomes. Submitted to Biology Letters. I. Carvalho, J. C. Loo, T. Collins, C. Pomilla, J. Barendse, P. Best, R. Hersch, M. S. Leslie, M. Thornton, H. C. Rosenbaum. 2010. Temprotal Patterns of Popilation Structure of Humpback Whales on the West Coast of Africa (B Stock). SC/62/SH8. Report to the International Whaling Commission. C. POMILLA, T. COLLINS, G. MINTON, K. P. FINDLAY, M. S. LESLIE, L. PONNAMPALAM, RBALDWIN, H. C. ROSENBAUM. 2010. Genetic Distinctiveness and Decline of a Small Population of Humpback Whales (Megaptera novaengliae) in the Arabia Sea (Region X). SC/62/SH6. Report to the International Whaling Commission. S. Cerchio, P. J. Ersts, C Pomilla, J Loo, Y Razafindrakoto, M S. Leslie, N. Andrianrivelo, G Mindon, J Dushane, A Murray, T Collins, H Rosenbaum. 2009. Updated estimates of abundance for humpback whale breeding stock C3 off Madagascar, 2000–2006 SC/61/SH7. Report to the International Whaling Commission. J. C. Loo, C. Pomilla, M. Mendez, M. S. Leslie, H. C. Rosenbaum. 2006. Assessment of genetic connectivity between breeding regions B and C and feeding areas I, II and III. SC/A06/HW. Report to the International Whaling Commission. H. C. Rosenbaum, C. Pomilla, C. Olavarria, C. s. Baker, M. S. Leslie, et al. 2006. A first and preliminary analysis of mtDNA sequences from humpback whales from breeding stocks A-G and X. SC/A06/HW. SC/58/HW. Report to the International Whaling Commission. H. C. ROSENBAUM, C. POMILLA, M. S. LESLIE, M. MENDEZ, P. B. BEST, T. COLLINS, M. H. ENGEL, P. J. ERSTS, K. P. FINDLAY, P. J. H. KOTZE, M. MEYER, G. MINTON, J. BARENDSE, K. VAN WAEREBEEK AND Y. RAZAFINDRAKOTO. 2006. Mitochondrial DNA Diversity and Population Structure of Humpback Whales from the Wintering Areas in the Indian and South Atlantic Oceans (Regions A, B, C and X). SC/58/SH13. Report to the International Whaling Commission. My goals as an instructor are to: 1) maintain a constructive, inclusive, and dynamic learning environment for students, 2) improve students’ critical thinking, problem solving, and communications skills, and 3) promote lifelong learning. I have implemented innovative teaching techniques, including the use of peer instruction, active learning exercises, group problem-solving exercises, dynamic interactive quizzes and polls, and other techniques for building students’ metacognitive skills and establishing a growth-oriented mindset. One of the most valuable things I can do for the field of conservation biology is to mentor young scientists. It is also one of the most personally rewarding aspects of my job; I greatly value these experiences for a number of reasons – mostly because I enjoy helping people and usually learn a lot for these relationships. In addition to the classroom course I taught at UCSD-Scripps Institution of Oceanography, I developed an all new lab component to compliment this course. Activities including modules on comparative anatomy of mammals and R statistics, as well as field trips to the Smithsonian and to sea! 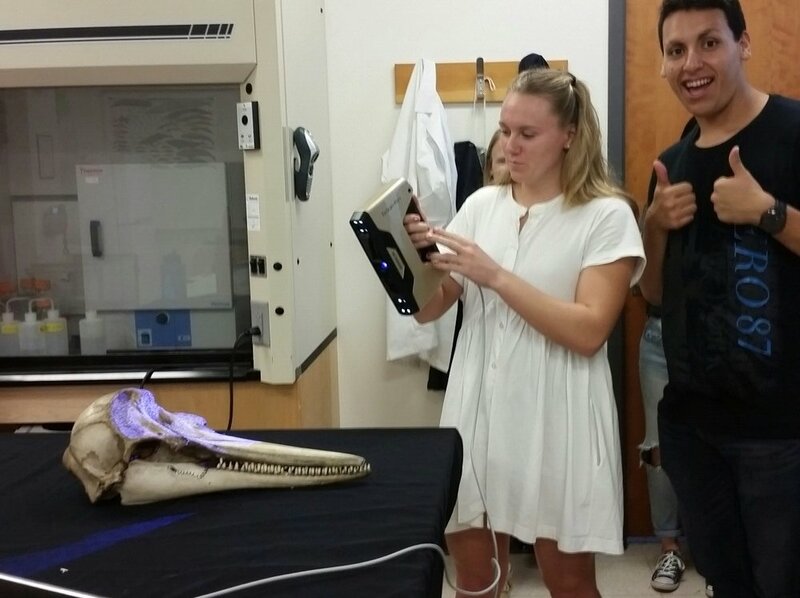 Swarthmore students and I worked together to learn 3D scanning and printing using the teaching collection. 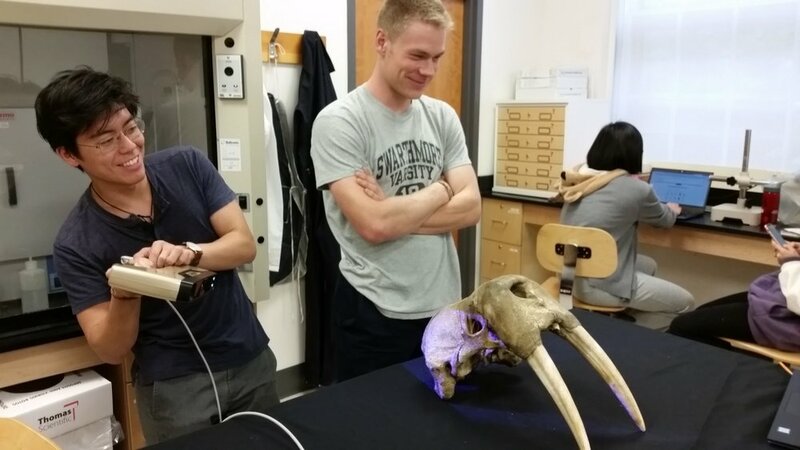 In doing so, we learned cranial anatomy, phylogenetics, and valuable skills for modern comparative biology. 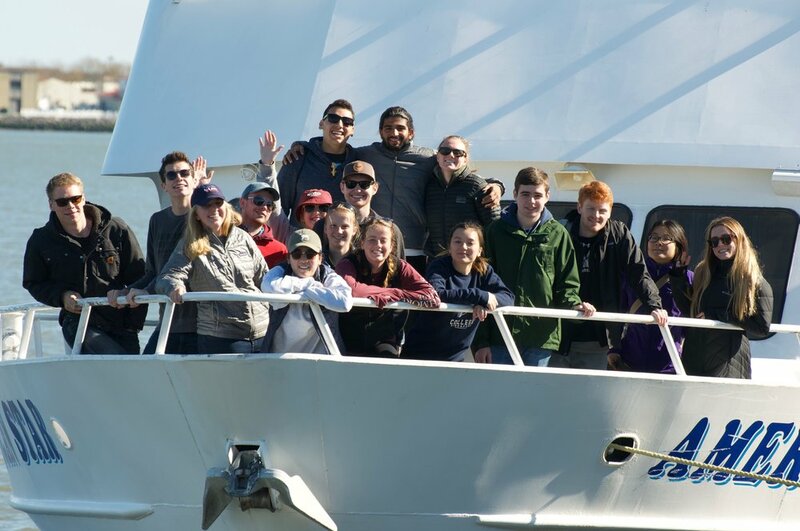 We also went to sea to experience the challenges and excitement of studying marine mammals in their environment. We were also welcomed to the Smithsonian’s National Museum of Natural History to tour their marine mammal collection - the largest natural history collection of these animals in the world! I designed and implemented all aspects of this class including the basic structure of the course, assignments, grades, course website, etc. Gave traditional lectures and student-guided discussion periods, I also lead field trips to the San Diego Natural History Museum (left), the NOAA Southwest Fisheries Science Center (below) to reinforce material and spark curiosity. These short videos illustrate some of what I do. Enjoy!